KORORI seems to be a favorite pronunciation in Northern Japan. The wish of many, to live happy and healthy and in the end - be gone in a second. Temples who cater to the wish of a sudden death are growing rapidly in Japan with its ageing population. at tempel 龍泉寺 Ryusen-Ji in Hachioji near Tokyo. 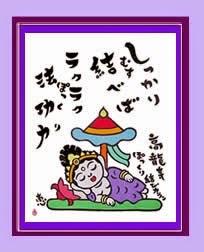 The previoud head priest had declared this Kannon as POKKURI and since then business was good. The Kannon Hall is on a hill with 88 steps up (88 is a lucky age 米寿 to reach). People come here to pray for a long life and sudden death. 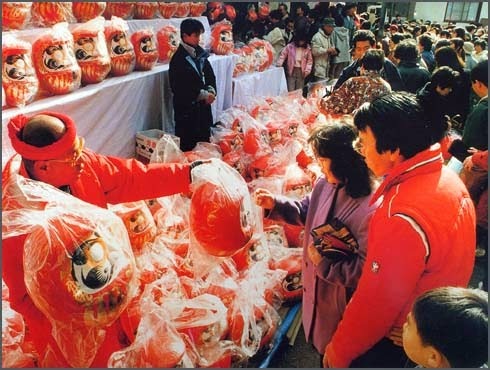 This temple features a Daruma market on the third sunday in January. 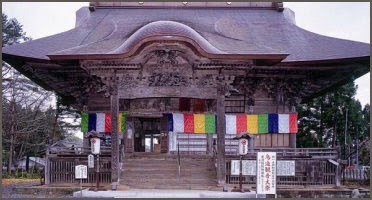 In 1575, during the time Lord Narashige Yura governed Kiryu, he had this temple transferred from Seradago to its present location. During the great fire of 1843, the temple building was reduced to ashes. After about one hundred years, the main temple building and repository were reconstructed. The tmple returned to its original state of prosperity. 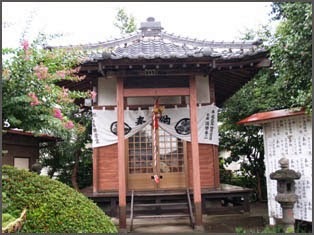 At present, the temple is a leading Zazen Dojo in the Kanto area. 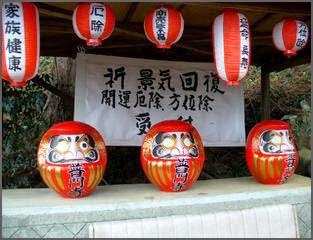 It is also well-known for its Daruma Fair on January 15. 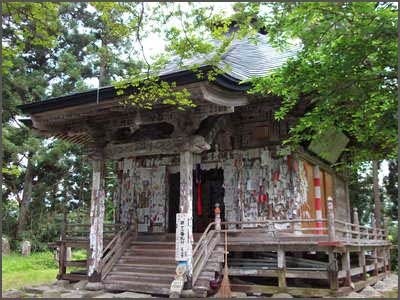 Fumonji is also popularly recognized as the temple with a statue of the 11-faced Kannon (goddess of mercy). Behind the temple one can see the Fumonji archeological site from which both Jomon and Yayoi Period artifacts have been excavated.
. Daruma ichi 達磨市 Daruma markes in Japan . The hall is located in the former castle park. 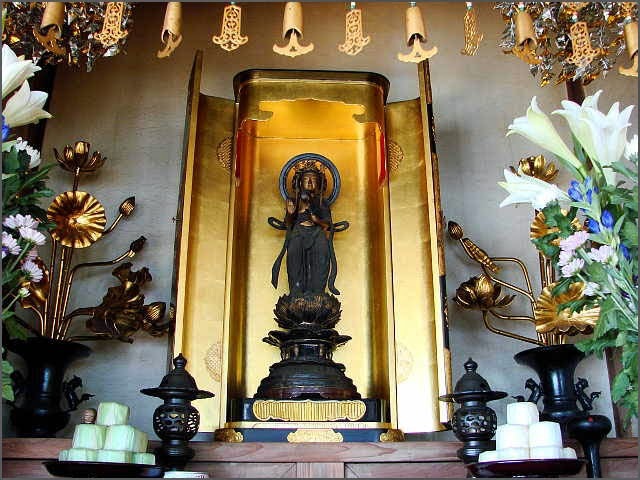 The temple was founded in 1601 by the caretaker for the feudal lord Makino 牧野番内 at the Hasedo Castle, to place his precious seated statue of a Nyoirin Kannon, which had been made around 880 and was about 36 cm high 1尺2寸. It used to be venerated to grant eternal life in paradise and now is famous for its pokkuri prayers. 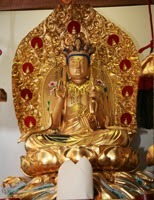 The temple hall has been rebuilt in 1764.
. Nyoirin Kannon 如意輪観音 Wishfulfilling Kannon . This hall is a sub-temple from the famous pokkuri temple in Nara, but this is just a small hall.
. Anichiji 阿日寺 Anichi-Ji - Nara . 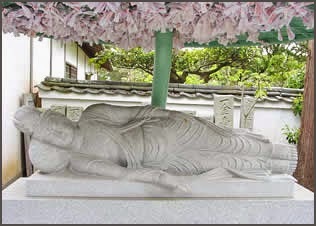 People pray to this sleeping Kannon to keep them in good health and help them die in peace. To make the wish come true they tie a special paper slip with their name on the umbrella above the statue (musubi). 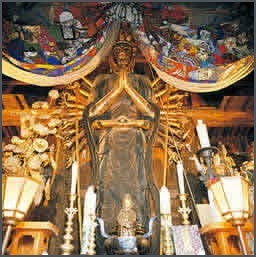 The Torioi Kannon statue was made by priest Gyoki with the wish to show people an east pass-over to the paradise of Amida. Other sources quote Kobo Daishi carving this huge statue of 8.5 meters out of a living tree. 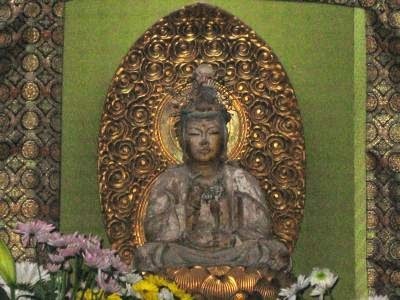 One of the three korori Kannon of Aizu 会津ころり三観音. 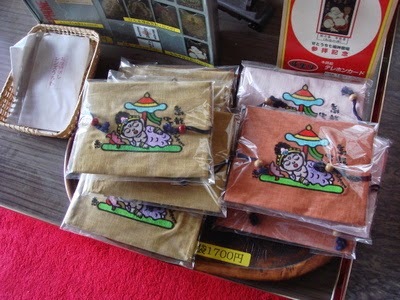 There are also “three hidden monkeys” engraved in the temple, and it is believed that it brings happiness to people who find them. The temple was destroyed during an earthquake in 1611, but rebuilt soon after in 1613. 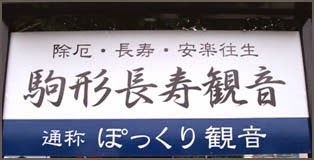 But there is also a sign for "enoki Daishi". There is not much information about this Kannon.
. WKD : enoki 榎 nettletree, Chinese hackberry tree . Number 13 on the pilgrim route to 33 Kannon temples in Hachioji 八王子の三十三観音霊場第十三札所. Once an old man felt the end near, told his relatives "They are coming to bring me to paradise", closed his eyes and was gone. Nowadays many people come here during the higan 彼岸 days of the spring and autumn equinox, when the statue is shown to the public. Look at the photo at the top of this page.